The LA-PODS plastic paint pods are designed with an air and moisture resistant lid, which helps keep paint and liquid from drying out. 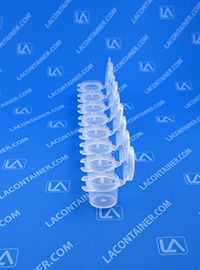 The durable hinged-lid allows for easy access to the contents while keeping your products professional and very organized. Manufactured in the USA from FDA compliant Food Grade polypropylene, our LA-PODS series are BPA and Lead Free, which makes them non-toxic and safe for children. 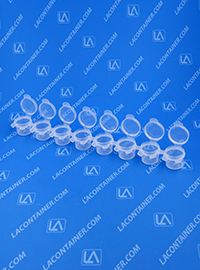 Certifications, Regulatory Data Sheets, Material Safety Data Sheets are available upon request as we ensure and guarantee strict Material Lot Number traceability with each plastic container we produce. 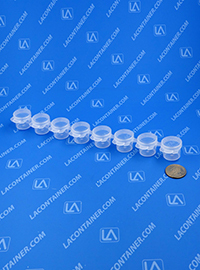 Try our ESD Container Store if you need to order smaller quantities! 0.76" Dia. X 0.73" Ht. 25.15mm Dia. X 20.83mm Ht. 19.30mm Dia. X 18.54mm Ht.